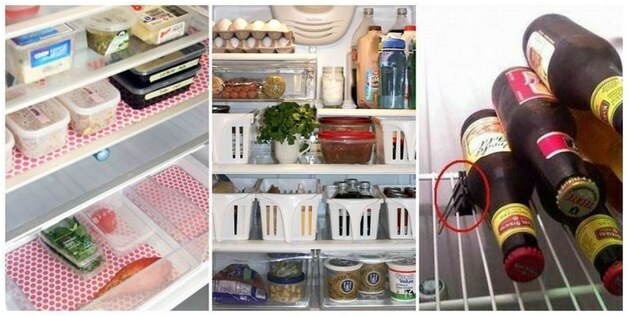 Label the inside doors (and baskets) so everyone who uses the fridge knows where to find, and to put back, each item. Learn where each item should be stored for maximum food safety; that means placing raw meat or fish below cooked products. Rotate products very regularly to avoid unnecessary waste. Plan meals around what needs eating soon or that day, and if it helps, put the ‘must eats’ into their own basket at the front of the fridge to remind everyone. Always store leftovers and opened packets in containers with close fitting lids. This avoids both smells and spillages. 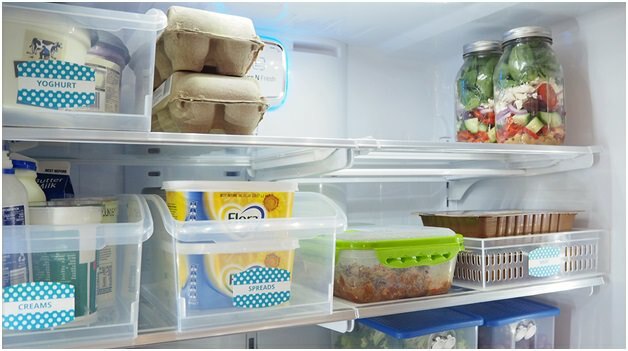 If you are short on space invest in some magnetic-bottomed plastic containers which are designed to sit on the side walls of the fridge https://www.onecrazyhouse.com/refridgerator-organization-tips/. Don’t be tempted to overfill the fridge; it needs air to circulate to keep food fresh and cool. If you are constantly overloading yours with things that you do actually need it may be time to buy a bigger version. Businesses should of course always look to use equipment from specialists such as https://www.fridgefreezerdirect.co.uk/catering-equipment, as those products are designed to meet their specific needs. Wipe up spills inside the fridge straightaway using a paper towel, (to avoid cross-contamination) and a non-bleach cleaning product. Don’t use valuable fridge space for items which don’t belong there, such as potatoes or tomatoes.